After Mattel ended it's licensing agreement with Takara, they immediately entered into another agreement in 1986 with Bandai Co. Ltd. (of Japan). They named their company Ma-Ba, which is the first two letters of each companies name. Bandai was founded in 1950, and is now the third largest toy manufacturer in the world. Mattel and Hasbro are ahead of them. 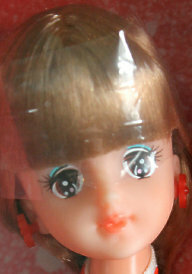 MaBa Barbie dolls were found only in Japan. They look very similar to the Takara Barbie (and Jenny) doll, but they have a few slight differences. 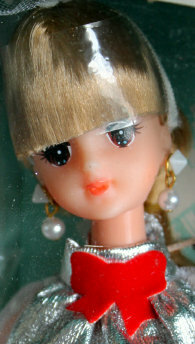 The MaBa Barbie is a tiny bit taller and has a slightly thinner face. She also has different packaging from the Takara Barbie. They both say Barbie at the top of their box, but notice the company name "MaBa" in the lower right hand corner of the MaBa Barbie box.